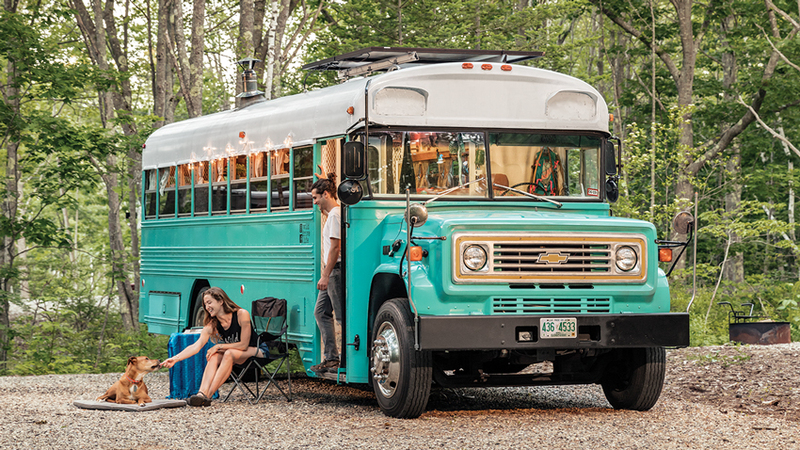 Best bus color for boondocking? 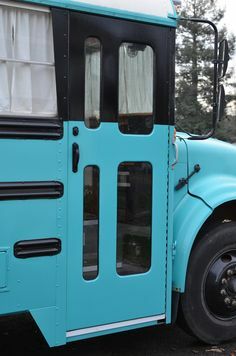 One idea I have is to paint it a cream color and then do some subtle pastel blue and green elements over that under the window line (maybe hand painted or stenciled). Anyone have thoughts/experience/seen any great examples of good boondocking colors that aren't totally boring? Keep in mind heat absorption. Nealy all bus roofs are white for a very good reason. I went with slightly off-white, but for the same reason. Likewise the exterior wall colors. Lighter shades (of almost any color) will minimize heat gain. Other than that...just have fun with it! Aside from using light colors, esp. on the roof, to keep the bus cool I think you should paint your bus to whatever color scheme makes you happy. IMO unless you're trying to hid from the feds or have some narcos on your tail, I don't know that you really need to be inconspicuous. Boondocking, as far as I understand, is just dry camping (preferably) away from anyone with outdoor TV sets, generators, and, of course, drum circles. I too have thought along those lines. A paint job that will sell up the road but also be semi invisible in the woods. I definitely don't want a camo paint job, but will use earthiness instead. White is too bright to hide in the woods, so my roof is going to be tan and below that a mix of olive drab and black with some possible graphics involved. My bus will be dark themed outside and bright inside. I mean, I know people in the vandwelling community do stealth camping, but a bus by its very nature doesn't exactly blend in. We've not done any boondocking yet but we plan to, extensively, when we hit the road full time. A lot of people boondock in just regular old travel trailers and motorhomes though. Converted Bus Blue. Blend in anywhere. 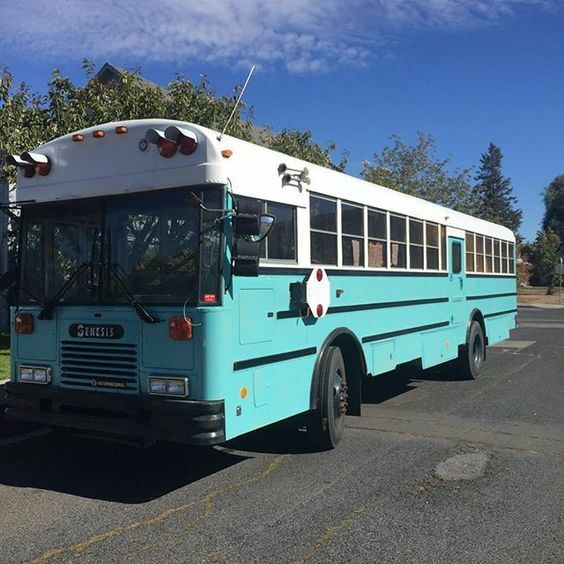 If you want a generic "skoolie" color this is probably the one to go with. I won't blend in, but it won't look distinguishable from 60% or so of the other buses out there lol. It is a lovely color, I just like to make fun of it since everyone's doing it. I'm painting mine a loud green and white. 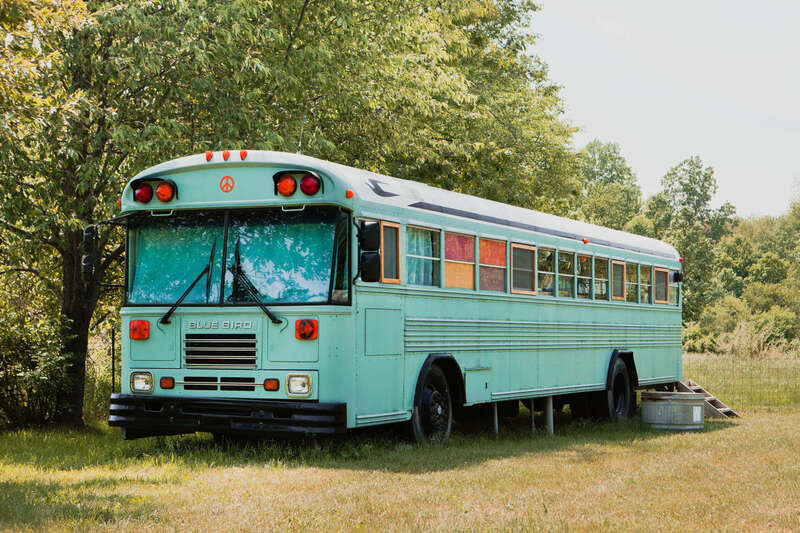 I don't see quite enough green tint in yours to count as Bus Conversion Blue but close! Is there a woman anywhere who is NOT fond of "Tiffany" blue? Most can spot those little boxes from two blocks away.